This is the northern territory page. Travel with AAT Kings from Ayers Rock Resort to Kings Canyon Resort, stopping for breakfast at Kings Creek Station(own expense). 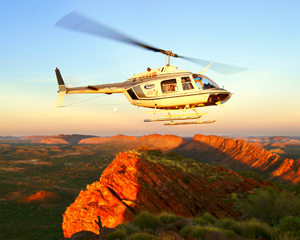 Make the rocky climb to the rim of the canyon for marvellous views of Watarrka National Park. Or you can take a less strenuous walk to explore the canyon floor. Tour with AAT Kings and visit Litchfield National Park, Florence Falls (opportunity to swim in the plunge pool), travel to Buley Rockhole (when accessible) then visit Tolmer Falls for a magnificent view of the water cascading down below. Finally, to Wangi Falls for an optional climb to the top. Pass through the West MacDonnell Ranges, stop at Atila (Mt Conner)lookout for morning tea before travelling on to Uluru - Kata Tjuta National Park. 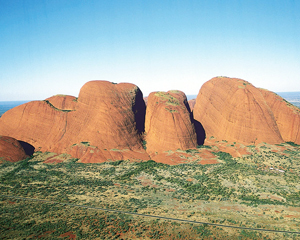 Join a base tour of Uluru, a guided walk to Mutitjulu Waterhole, a visit to Kata Tjuta and a sunset viewing of Uluru with nibbles and a glass of wine. Spend 3 magical nights at the surreal Longitude 131 degree. This wondrous experience, including all meals, puts you up close and personal with Australia's most culturally-significant site. 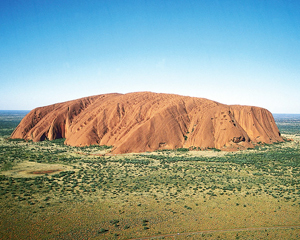 Explore the Uluru-Kata Tjuta National Park by day then relax under Australia's best night sky. AAT Kings' Darwin City Sights Tour highlights include, the museum, art gallery, Chinese Temple, Botanical Gardens & more, with expert commentary from a local guide. We invite you to join us aboard the historic pearl lugger "Anniki" to take in a top end sunset, learn a little history of the vessel, pearling in the north and taste the exotic pearl meat while you relax with a champagne and antipasto. Bamurru Plains is a wild, yet utterly comfortable getaway. The gourmet dinners and moonlight wines are replaced each morning by a colourful sunrise and a full day's adventure. With everything included and only 6 guests on each amazing activity, these three nights are unique, exotic - unforgettable! 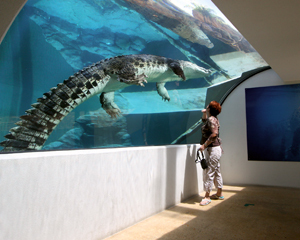 This Crocodile Park is Darwin's newest attraction, allowing visitors a unique, up close and personal view of massive saltwater crocodiles, and the world's largest display of Australian reptiles. This Sunset Dinner Cruise in Darwin is second to none! Sailing mostly by windpower, you'll kick back and watch the gorgeous sunset with a cool wine or beer, an antipasto platter and a great Aussie dinner. With only a small group on board, you'll while away the hours in the evening breeze. Learn how to work with the positive energies to increase your wealth, health and vitality. Bring along a copy of your house floor plan and learn how to work with classical Feng Shui to achieve your personal goals and objectives. Fish the iconic Top-End, chase a Barra or Black Jew Fish. The Top-End is full of a varied species so let you line out see what you catch! Or simply catch a sunrise or sunset in Darwin Harbour.